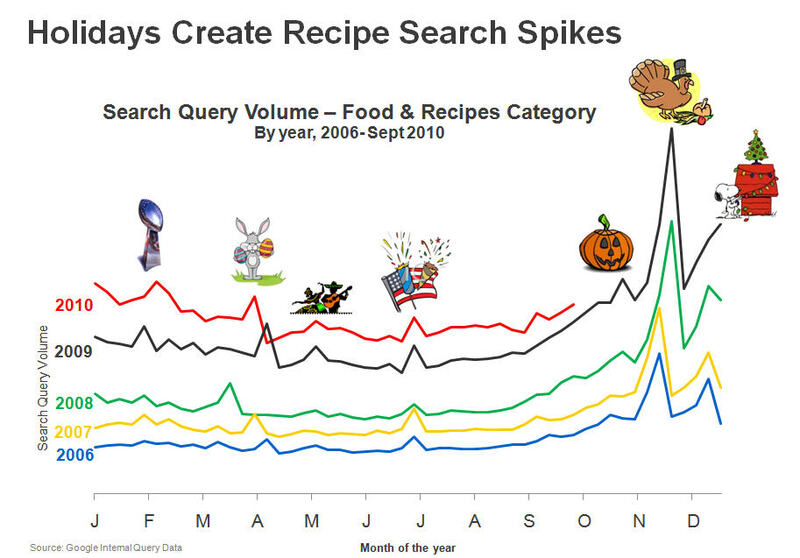 Interestingly, both the Super Bowl and Cinco De Mayo appear to have become more popular holiday eating occasions within the last four years. 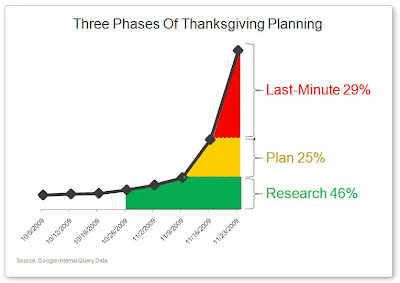 As we dug through the data, we find that Thanksgiving recipe Searchers often prepare in 3 phases (Research, Plan, and Last Minute). 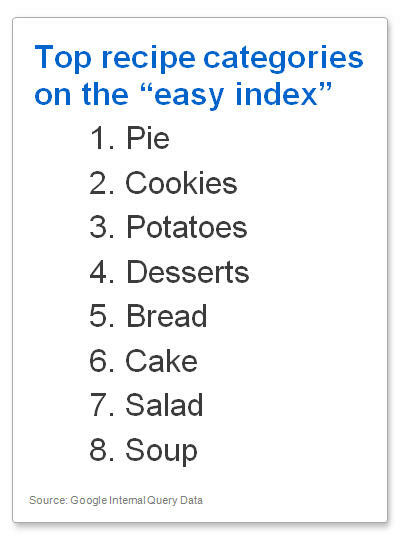 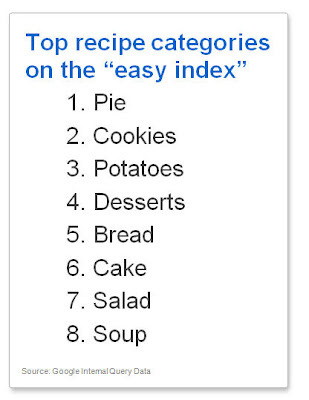 Among the core items searched for, the items broke down into Pie, Turkey, and sides. 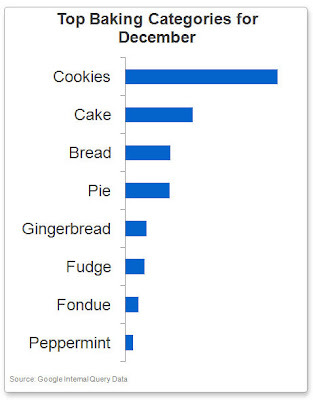 Baking takes center stage during Christmas with core items including Christmas cookies, which receive 45% of all cookie related searches, and cheesecake which gets 71% of all cake related searches during the Christmas season. 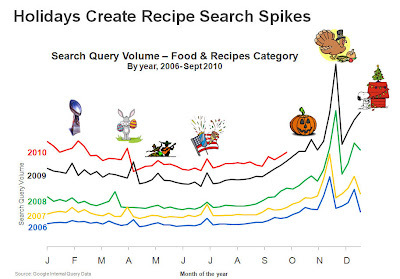 Our data also shows that during the winter holidays, consumers are 1/2 as likely to search for "healthy recipes" than any other average point in the year. Perhaps people save their healthy recipe searches for after the New Year, thinking that if you're going to do the holidays right, you might as well go big or go home!